Dr HKT Raza, well known and admired by his many friends across India & the Asia Pacific region, died from a massive heart attack in Nagpur on 14 March 2019. HKT was a graduate of the Netaji Subhash Chandra Bose Medical College, Jabalpur. After postgraduate studies in orthopaedic surgery he further specialised in spine surgery, devoting much of his life to the management and rehabilitation of traumatic paraplegia. This zeal led him to establish the Regional Spinal Injury Centre in Jabalpur which has managed the rehabilitation of more than 2000 patients. Dr Raza rose through the ranks of the Indian Orthopaedic Association to become its youngest Secretary and then its youngest President. 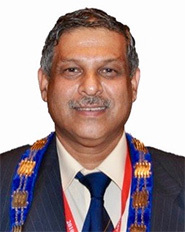 He was instrumental in India joining the Asia Pacific Orthopaedic Association in 2001. Soon enough he joined the Council of APOA and subsequently rose to its Presidentship in 2010. 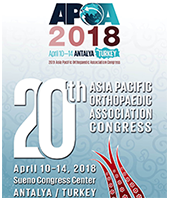 Along with Robert Bauze and Steve McNichol, he conceptualised a Federation of Orthopaedic Associations of Asia Pacific which had been mooted for years without progressing, and which has since come to fruition. Dr Raza had extensive experience of relief work during the Gujarat earthquake in 2001 so, when the deadly earthquake hit Nepal in 2015, he led an APOA relief delegation, organising aid and the delivery of implants to Nepalese Orthopaedic Surgeons. He is survived by his wife, Dr Kehkashan, and their two children, Shamikh and Falaq, both also doctors. May the Almighty grant him his resting place in Heaven.